ITBP recruitment 2018 notification has been released on official website www.itbpolice.nic.in for the recruitment of total 241 (two hundred and forty one) jobs out of which 60 (sixty) vacancies for Head Constables (Motor Mechanic), 181 (one hundred and eighty one) for Constables (Motor Mechanic) vacancies. Job seekers should apply from 02nd January 2018 and before 31st January 2018. 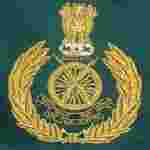 Here on this page you will get the details like the Name of vacancies released by ITBP with exact number of posts. Some other criteria like Education details, application fee and way to apply application for ITBP recruitment 2018. Educational Qualification: 10+2 pass from a recognised Board or Institution and Certificate in Motor Mechanic from a recognized institution or Industrial Training Institute with three years practical experience in the trade in a reputed workshop or three years diploma in Automobile Engineering for S.no-1. Matriculation or 10th class pass from a recognized Board or Institution or Industrial Training Institute certificate in respective trade from a recognized institution for S.no – 2. Age Limit: The age of candidate should be between 18 to 25 years as on 31.01.2018. Interested and eligible aspirants should apply online through the website www.recruitment.itbpolice.nic.in from 02.01.2018 to 31.01.2018.